A group of leading medical experts from Israel’s national hospital, Sheba Medical Center, Tel Hashomer, is delivering emergency relief in Zambia, setting up a treatment center to assist those in need. 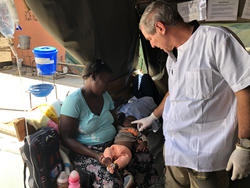 Dr. Eli Schwartz of Sheba Medical Center provides aid following a cholera outbreak in Zambia. The innovative medical expertise and tactics employed by our experts are today being dedicated to helping the people of Zambia and saving as many lives as possible from the tragic cholera outbreak. Sheba Medical Center, Tel Hashomer, Israel’s national hospital, is mobilizing teams of medical experts and cutting-edge resources to battle the growing and deadly cholera epidemic that has plagued a poverty-stricken neighborhood in Lusaka, Zambia. Sheba Medical Center’s first response team arrived in Zambia just days ago, and are the first and only international medical team to arrive in the African nation for a rescue mission aimed at stopping the outbreak of cholera that has already claimed the lives of 54 people. The first response team comprised of Sheba Medical Center physicians who specialize in tropical and traveling medicine, along with water expert engineers, arrived in Zambia with a clear objective: to survey the situation on the ground by assessing how to best prevent the fatal spread of the disease and protect Zambians from the contaminated water. Sheba Medical Center’s first response team immediately identified the source of the cholera outbreak and determined that approximately 500,000 people in one of Lusaka’s poorest neighborhoods are being exposed to contaminated water culled from water wells in close proximity to sewage-filled soil. The Israeli experts immediately advised local government officials to prevent the drinking of this contaminated water by blocking all access to the contaminated wells, and helping distribute bottled water. A core priority for Professor Yitzhak Kreiss, Sheba Medical Center’s Director General and former Israeli Defense Forces Surgeon General, is responding to humanitarian crises effectively with the highest standards of medical care and crisis leadership. A second team from Sheba Medical Center is being deployed January 10th to spend two weeks in Zambia. The medical experts will treat patients at Lusaka’s National Heroes Stadium, which has been converted into a cholera treatment center. This highly-skilled delegation from Israel’s national hospital includes two physicians, two nurses and a lab technician, all of whom have deep experience with international emergency humanitarian rescue missions. 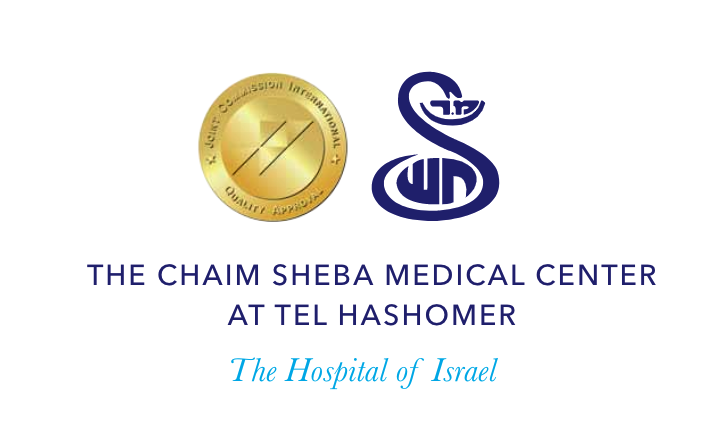 The Israel Center for Disaster Medicine and Humanitarian Response at Sheba Medical Center boasts highly experienced specialists who continue to lead the charge in preparing and responding to global humanitarian crises and emergencies. While this is Sheba Medical Center’s first humanitarian mission to Zambia, it has concurrent humanitarian missions operating throughout Africa including in Nigeria and Tanzania. Prof. Kreiss and his team have successfully led life-saving humanitarian missions in Puerto Rico, Mexico, Nepal, Haiti and elsewhere.